Home loan affordability improved in Auckland in December as median prices dropped after three months of Reserve Bank restrictions on low deposit mortgages and amid growing expectations of higher interest rates. However, first home buyer affordability worsened nationally to the point where a single first home buyer would have to spend more than half of their after-tax income on mortgage payments to afford a cheaper house. House prices continued to rise outside of Auckland. The Roost Home Loan Affordability reports show affordability worsened overall across New Zealand in December, but improved in the four regions measured in Auckland. The Reserve Bank's high Loan to Value Ratio (LVR) speed limit is showing early signs of cooling activity in the housing market, although the bank itself has said it wants to see three to six months of data before making a judgment. A rise in fixed mortgage rates through late December in anticipation of a rising Official Cash Rate through 2014 and 2015 has also helped slow activity and dampen appetites for higher house prices. The Reserve Bank is expected to start increasing the OCR as soon as Thursday and has warned of a 2.25% increase by early 2016. The Roost Home Loan Affordability reports show national affordability worsened to 60.7% in December from 60.6% in November after the national median house price rose to NZ$427,000 from NZ$425,000 in November. The reports measure the percentage of after tax pay needed to service an 80% mortgage on a median priced house. 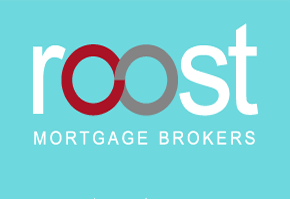 The Roost Home Loan Affordability reports for December showed affordability for regular home buyers improved in central Auckland, NorthShore, Manukau, Waitakere, Whangarei and WellingtonCity as median house prices fell. Affordability worsened in Tauranga, Hamilton, Christchurch, Kapiti Coast, Timaru and Dunedin as prices rose. Affordability improved in 12 of the urban centres measured and deteriorated in 12. It remained toughest for first home buyers on the NorthShore in Auckland. It took 103.5% of a single median after tax income to afford a first quartile priced house on the North Shore in December, although this improved from 106.3% in November. Fixed mortgage rates, which more than 50% of new borrowers now use, rose around 25 basis points on average in December from November. Variable rates were unchanged, but are expected to rise in line with the Official Cash Rate. The Reserve Bank is forecast to increase the rate by 1.25 percentage points in 2014, and a further 1 percentage point in 2015. Housing affordability has become a major economic and political issue over the last year. The Reserve Bank and Government agreed on a toolkit of 'macro-prudential' controls in May that would see the central bank impose limits growth in high loan to value ratio mortgages and force banks to hold more capital. Central and local governments are also moving to address housing supply shortages. The Reserve Bank's speed limit was applied on October 1. For first home buyers – which in this Roost index are defined as a 25-29 year old who buys a first quartile home – there was a deterioration in affordability nationally, but an improvement in Auckland. It took 51.5% of a single first home buyer's income to afford a first quartile priced house nationally, up from from 49.7% a month earlier. The most affordable city in New Zealand for first home buyers was Wanganui, where it took 23.5% of a young person's disposable income to afford a first quartile home, albeit up sharply from 14% the previous month. The least affordable was the North Shore of Auckland at 103.5%. Any level over 40% is considered unaffordable, whereas any level closer to 30% has coincided with increased buyer demand in the past. For working households, the situation is similar, although bringing two incomes to the job of paying for a mortgage makes life considerably easier. A household with two incomes would typically have had to use 39.9% of their after tax pay in December to service the mortgage on a median priced house. This is up from 39.8% in November. On this basis, most smaller New Zealand cities have a household affordability index below 40% for couples in the 30-34 age group. This household is assumed to have one 5 year old child. For households in the 25-29 age group (which are assumed to have no children), affordability nationally worsened to 24.9% of after tax income in households with two incomes required to service the debt, up from 24.0% the previous month. Any level over 30% is considered unaffordable in the longer term for such a household, while any level closer to 20% is seen as attractive and coinciding with strong demand. First home buyer household affordability is measured by calculating the proportion of after tax pay needed by two young median income earners to service an 80% home loan on a first quartile priced house.